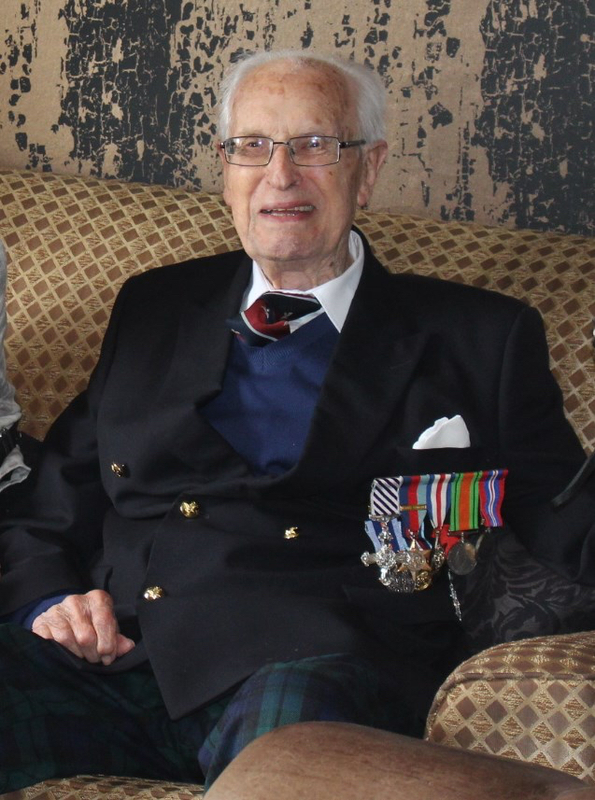 We are sad to inform you that Flying Officer Roy Amerena passed away on 21 April 2017, aged 93. 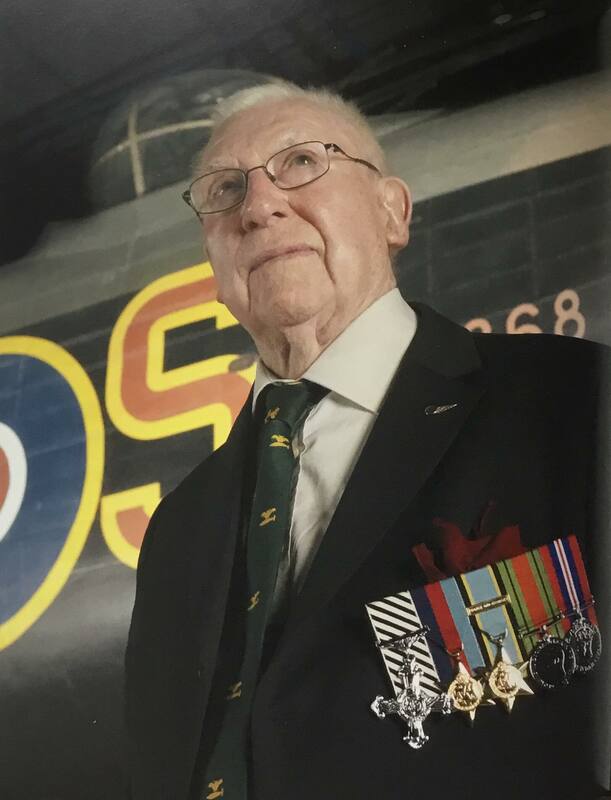 Roy was a Navigator on 149 and 9 Squadron and flew many missions in Lancasters during WW2. Following the war he stayed in the RAF and converted to Lincolns. Roy’s Funeral was held in St Andrew’s Church, Steyning on 2 June 2017. 9 Squadron and its Association were represented by Mr Richard James and Mr Chris Fleming. 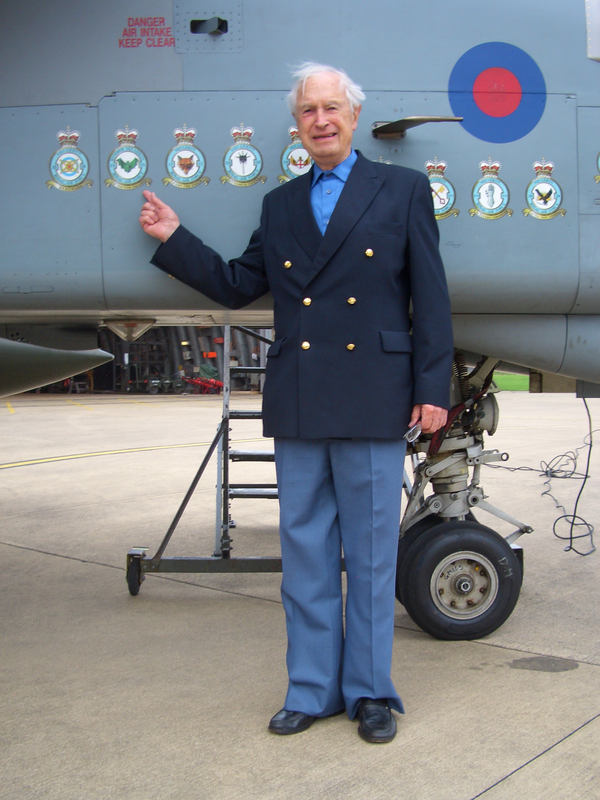 We are sad to inform you that Flt Lt Denis Mason DFM passed away on 11 May 2017. Denis was a Bomb Aimer & Air Gunner on Wellingtons and Lancasters. 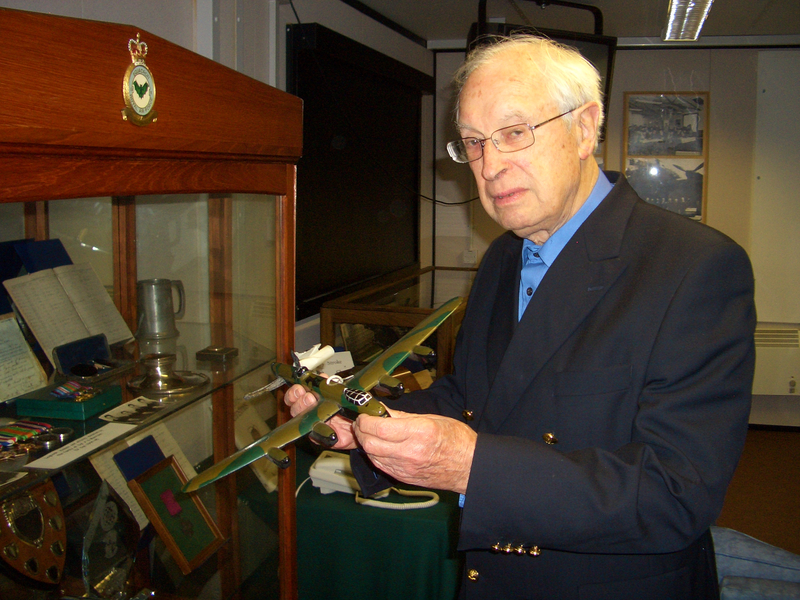 Denis completed two tours on 9 Squadron during WW2 and survived 66 missions. In November 1942 he had already amassed 65 bombing missions, but was still only twenty years old. He was posted as an Instructor in Oxfordshire, and whilst waiting at the railway station for transport to his new camp, he met a 17 year old WAAF called Yvonne, who he chatted to. They subsequently married on 6 January 1945 and were married until his passing 72 years later. At school Denis was nicknamed “Mickey” and whilst he was on 9 Squadron he was called “Tiger”. Later in life, Dennis wrote two books under the pseudonym “Mike Dee”. His books were “The Third Son as Night Bomber” and “Sequel to The Third Son as Night Bomber”. 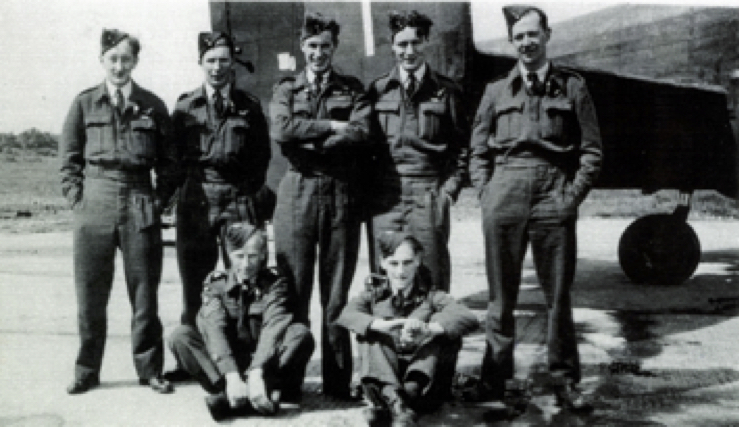 Denis’s Funeral was held at All Saints Church, Sherburn-in-Elmet, Yorks on 30 May 2017 and 9 Squadron and its Association were represented by W.O. Richard Lyons.